We've been back for several days now and yes, we've been online some but not nearly the amount we were this winter. I have found myself a little restless getting online this week whether it's Social Media, blog stats, checking email, the News, online shopping, catching up on a blog, etc. In fact, my husband and I both have been "unplugging" after 8 before we go to bed. Before our trip, this would have been so hard to do. We've gone so long this winter online window shopping, texting friends and Facebooking up until the point of going to bed that it became our nightly habit. And a bad one at that. So guess what? Since we've started "unplugging" before bed, we both have slept all through the night every night since we've been back from our trip! Maybe it wasn't the rocking on the ship that made us sleep so well. It may very well have been the fact that we were "unplugged" and our minds were at ease during bedtime. I know this is hard for some to do as after 8 is the only time for some to catch some Internet time but we really have no need right now to get online after 8. Maybe later this spring and this summer, that may change, but I think I am going to continue with this routine. It seems to be helping with the insomnia we were experiencing this winter. It really does make sense, though once you think about how much light and information your eyes and mind are absorbing while being online throughout the day and at night before bed. I have read several articles in the past about how unplugging before bed is the best way to fall asleep... but I was never able to discipline myself to act on it. I love the Internet and social media, but I think one of the reasons we felt so refreshed and so relaxed on our vacation is because we unplugged. We used each other and the people around us as our entertainment. I think it's good to unplug and take a vacation from everything going on in your world. It took me a while to get back online after our vacation. I slowly dove back in. I don't think I could give up social media completely as it's really made a positive impact in my life, especially as blogger, but I do think after having an unplugged vacation, I've learned the importance of managing it and scaling back. Too much of a good thing can definitely be a bad thing! You don't realize how much time you actually do spend online until you are away from it. Do you unplug before your bedtime? How do you manage your social media and Internet intake? 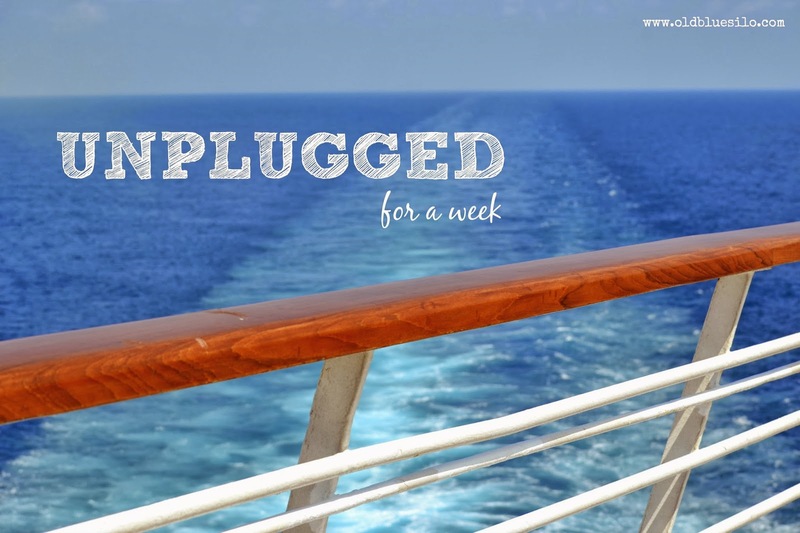 Have you ever taken an unplugged vacation? This makes total sense! Glad you are finally getting some rest! I think it is very wise to unplug from time-to-time. The first few days will have a few withdrawal symptoms, for sure, but it's worth it. I need to look less at screens for my entertainment.